Famous wuxia martial arts novelist Louis Cha Leung-yung has died at the age of 94, local media reported. Under the pen name Jin Yong, Cha wrote 15 popular martial arts novels in Chinese and was hailed as the most influential martial arts novel writer in the last century by readers around the world. The former journalist published his first novel The Book and Sword in the New Evening Post in 1955 and his last novel The Deer and the Cauldron in 1972. RIP! the last of the 3 greats finally gone. end of an era. Sad day. 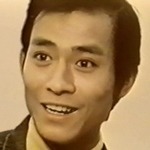 The Master is no longer with us. It is sad that Jin Yong is no longer with us. I read he had been unwell for a while. I take comfort from that he is no longer in discomfort. R.I.P to master Louis Cha. Now we have lost all 3 of the big 3 wuxia novelists. Some may recall I posted in this thread that I once visited the Jin Yong Gallery in Macau. The Gallery is no longer there. I just found out that the gallery seems to have been moved to Sha Tin, Hong Kong. 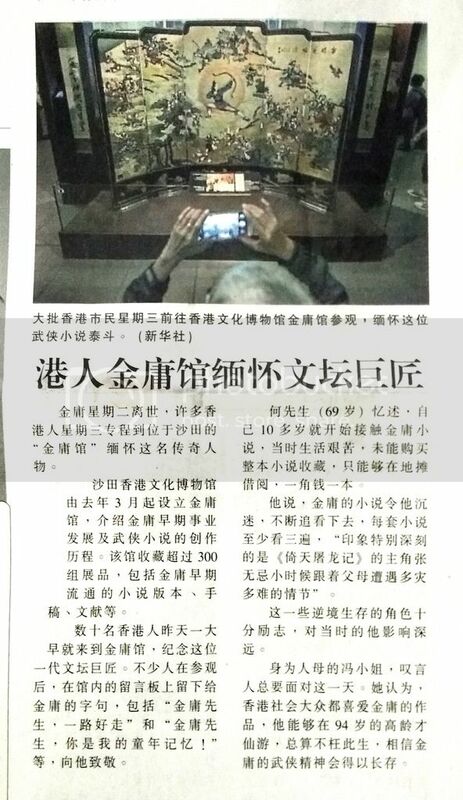 A few days ago, my local newspaper reported that, upon Jin Yong's passing, many people had turned up at the Gallery. Some fans used names of characters from Jin Yong's books to form a mourning couplet. The horizontal bar on the top of Jin Yong's photo says, "大侠走好". My preferred form is "大侠好走" - but then again, I am Cantonese speaking, so this is my Cantonese version. 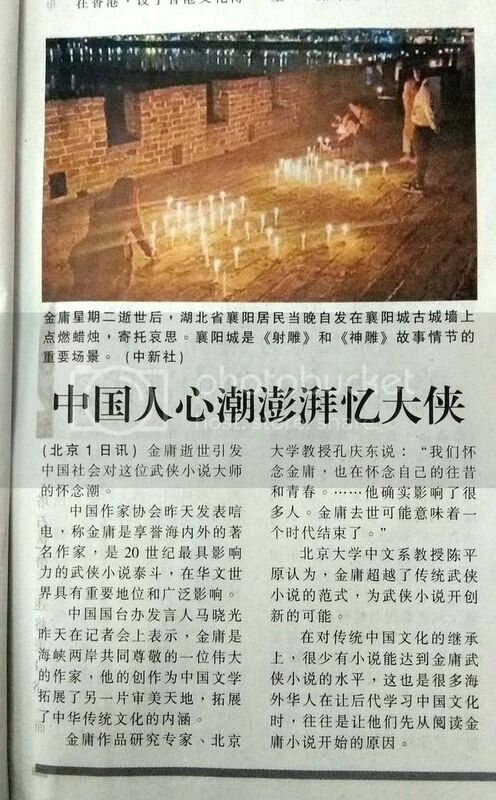 My local paper also said that many people had turned up in XiangYang City to light candles to commemorate the passing of Jin Yong. It was during the fall of this city (I think it was in the "Return of the Condor Heroes") that Guo Jing created the Heaven Sword and Dragon Sabre, leading to the novel of the same name. 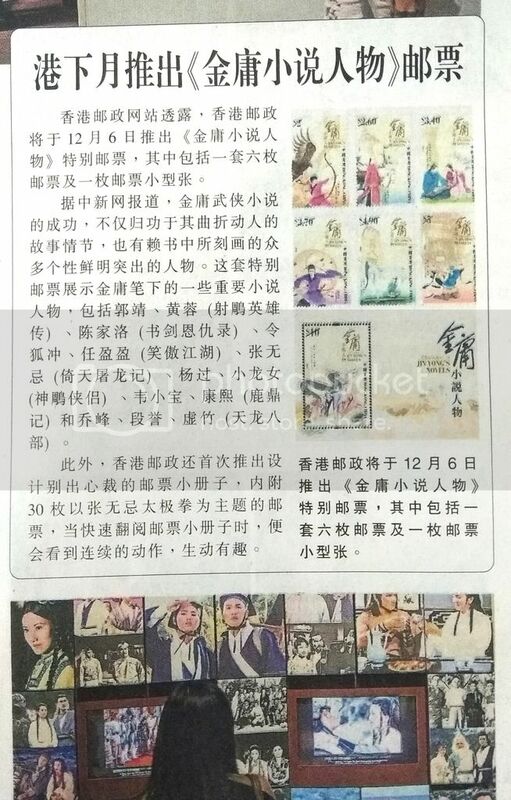 Hong Kong said that, at the end of year 2018, it will release a set of postage stamps featuring characters from Jin Yong's books. Me too. I don't think I have any wuxia themed stamps, the closest I have are those related to places featured in wuxia sotired, e.g. Shaolin Temple, Mt. Emei, etc. If the Romance of the Three Kingdoms are to be counted as wuxia, then I have some stamps related to this story. Other than that, I have no specific wuxia stamps. I would really like to lay my hands on this set. I found the location of Jin Yong Gallery in Sha Tin, Hong Kong. It is in the Hong Kong Heritage Museum, 1 Man Lam Road, Sha Tin, Hong Kong. Details of this museum is in this link. Meanwhile, the some details on the Jin Yong Gallery is this link. I think this calls for a trip to Hong Kong! Hong Kong's Apple Daily was sending out this poster in today's edition. The poster was drawn by Lee Chi Ching, the artist of the Jin Yong comic adaption of LOCH and The Smiling, Proud Wanderer. Frankly speaking I'm a bit disappointed that Xuzhu and Duan Yu are lacking. Thanks for the info, yenchin. I have been wondering who drew it.